InFocus Optical has a focus on quality care for you, our patients, driven by our highly experienced Optometrists. Our optometrists are highly qualified and registered with the Optometry Board of Australia and Australian Health Practitioner Regulation Agency (AHPRA). As members of Optometry Australia you can be certain our optometrists are up-to-date with the latest in clinical knowledge. 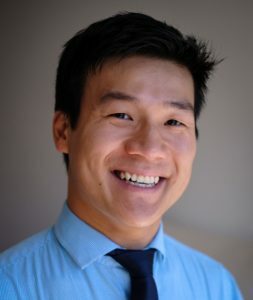 Ho Wah graduated from the University of Melbourne in 2008, as one of the first classes with eye medication prescribing rights. In his final year, he undertook a year-long research project in myopia development and went abroad for an externship at the prestigious Illinois College of Optometry in Chicago. He went on to complete a Clinical Residency at the Australian College of Optometry in contact lenses, low vision and paediatrics. 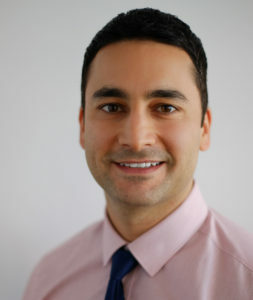 His expertise in specialized contact lens fitting developed through work at the Australian College of Optometry’s Specialist Contact Lens Clinic and alongside eye specialists at the Royal Victorian Eye and Ear Hospital’s keratoconus and contact lens clinic. He has been invited to speak on advanced contact lens fitting at various national optometry conferences and postgraduate education courses. He continued to work closely with ophthalmologists, eye specialists, with the Victorian Eye Hospital’s Glaucoma Collaborative Clinic. He is experienced with glaucoma management through years of consulting alongside glaucoma specialists. As manager of the Visual Functions Clinic at the Australian College of Optometry, Ho Wah developed expertise in colour vision, driving, aviation and other occupational assessments. He has significant experience with advanced ocular imaging technologies. He believes strongly that eyecare should be accessible and affordable, and has provided volunteer eyecare in Vanuatu, trained eyecare nurses in Papua New Guinea with Fred Hollows Foundation and regularly provides eyecare services in remote Northern Territory Aboriginal communities. Taskin has a passion for optometry as he himself has worn glasses and contact lenses since childhood. From a very young age, he understood the importance of delivering good quality eye care. He naturally went on to become an optometrist. Taskin graduated from Optometry at The University of Melbourne in 2003 with First Class Honours. In 2006, he returned to Melbourne University to complete the Post Graduate Certificate in Ocular Therapeutics. He undertook this further specialised training in order to be able to prescribe ocular medications. Taskin has practiced optometry in many different optometric settings. This has included independent practice, large-scale providers and public health optometry. He worked for one of Australia’s leading eye care providers over many years. These experiences have honed his ability to provide care to patients from children through to the elderly. He is experienced in using the latest diagnostic technology such as retinal scanning and Optical Coherence Tomography (OCT) to detect and diagnose a broad range of ocular pathology. Working and teaching at the Australian College of Optometry he gained experience in diagnosing and treating eye conditions of the elderly such as glaucoma, cataracts and macular degeneration. Most recently, as clinical supervisor, he enjoyed teaching and training 4th and final year optometry students for Melbourne and Deakin Universities. He has also been recognised for his involvement with mentoring newly graduated optometrists. Come and visit our friendly optometrists to discover an exceptional eye care experience today! We are conveniently located at the corner where the suburbs of Coburg, Coburg North, Pascoe Vale and Pascoe Vale South meet. We welcome all new and existing patients to our well-equipped optometry clinic.